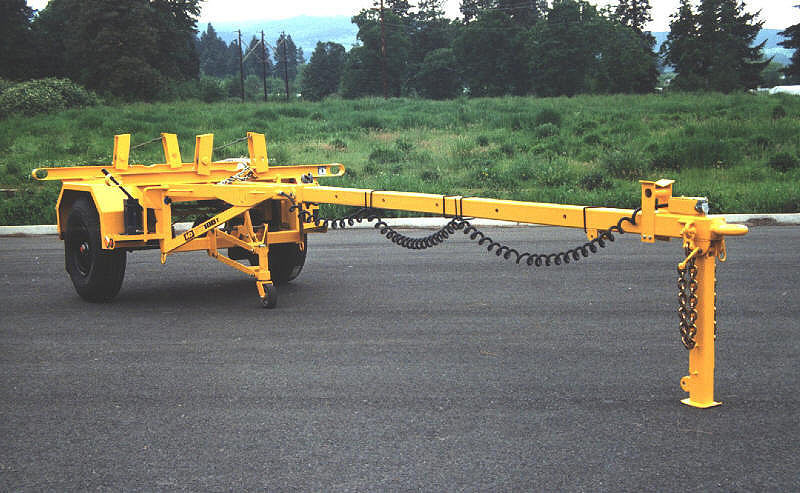 The PT150 Series pole trailer is the high capacity version of our PT100 series. 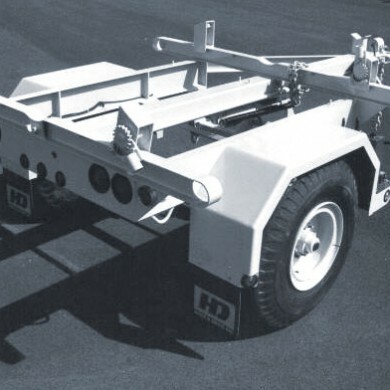 It has dual wheels, single axle 16,000 lb. 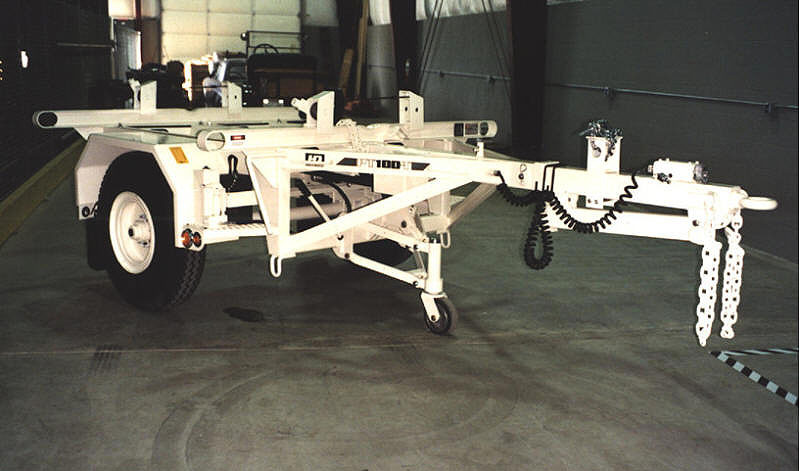 GAWR and a capacity of up to 14,000 lbs. 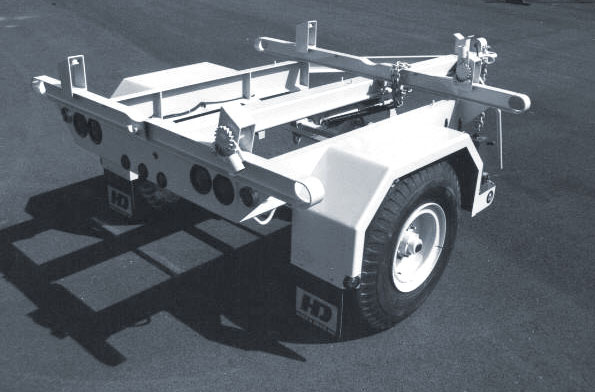 It has three models: (S) features a short drawbar, (L) a long rigid drawbar, and (T) a telescoping drawbar. 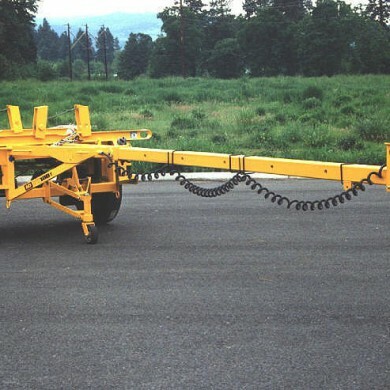 Setting the PT150 apart from the competition is its unique hydraulically actuated idler wheel. 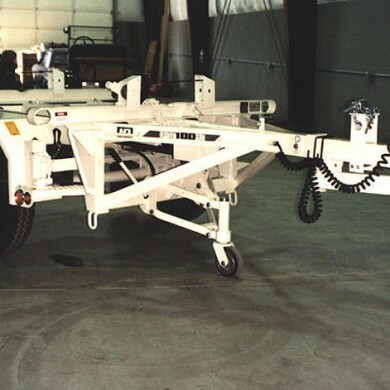 The double A-Frame mounted assembly provides 360-degree swivel and ease of motion with its bearing mounted 8-inch caster. The hydraulic pump is easily accessible at the curb-side of the unit. Dual coil springs retract the wheel for towing. 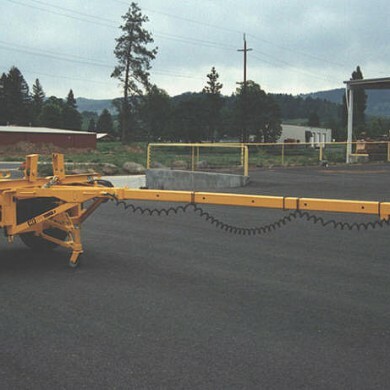 Center Pole Binders: A unique feature of Hogg & Davis, Inc., as well as the PT150 is the built-in over the center chain binder for the lead pole. Providing solid holding of the center pole allows greater load integrity and towing confidence. 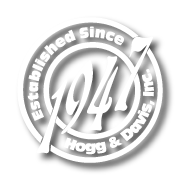 Successfully used for more than 35 years by Hogg & Davis, Inc., this feature helps the PT150 stand above the competition. Bolster Chocks: Bolster chocks that don’t get lost. 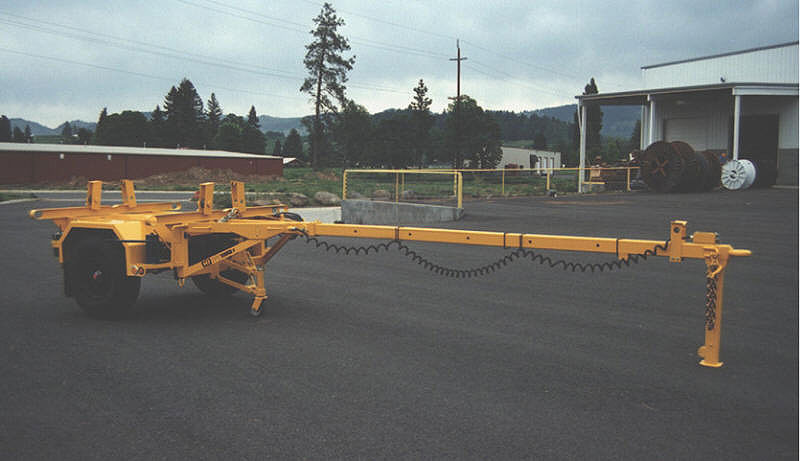 The PT150 features bolster chocks with built-in cable winches and they can’t fall off the bolster. Each chock is attached permanently but easily moves around the end and down under out of the way when necessary. Fifteen feet of 3/8″ cable provide plenty of tie-down capability for the fullest loads. Cargo Trays: Optional removable cargo trays allow the PT150 to carry the hardware needed when the jobsite is reached. The trays are 62″x18″Wx6″D and bolt solidly in place. Cutout type handle provide plenty of room for arm hardware, insulators, connectors, etc., that you’ll need on the job.